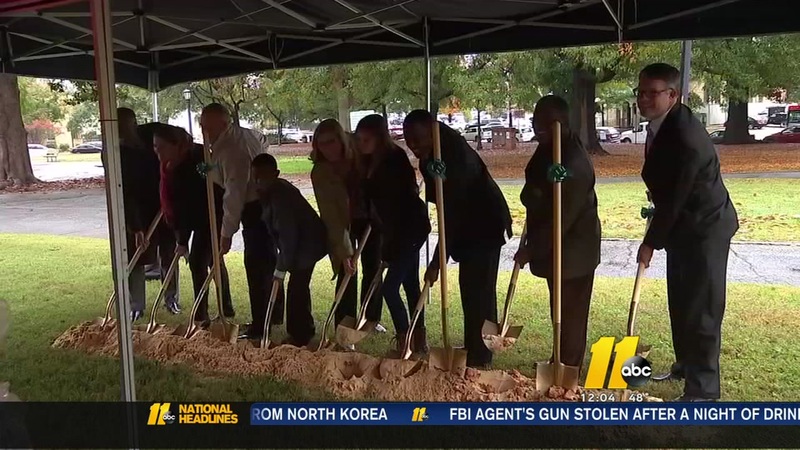 RALEIGH, NC (WTVD) -- We are getting a better idea when Moore Square will morph into a new space and reopen to the public. City officials say the project should be done in April. The renovation is slightly behind schedule because of wet weather in the spring and summer. The area remains closed, and crews are working seven days a week. The days are numbered to walk through Moore Square. It is closing Monday and crews will start the long-awaited renovation project. The project includes an interactive water fountain where children can play, new restrooms, and a cafe. There is additional seating for folks to sit and hang out. "I think it'll add a whole new breath of life to downtown," said Nick Johnson. "I'm excited about it. Everywhere you turn in downtown Raleigh, there's a new something or other going on." "It (the park) never changes so I think change will be a little bit of a good difference," Amari McLoud said. Moore Square was designed in 1792 and is one of Raleigh's five original squares. The city investing $12.5 million for the revamp and officials said spending is within budget.